The TW3 postcode covers the area of Hounslow. It neighbours on Heston in the North, Feltham in the West, Twickenham in the South and Isleworth in the East. 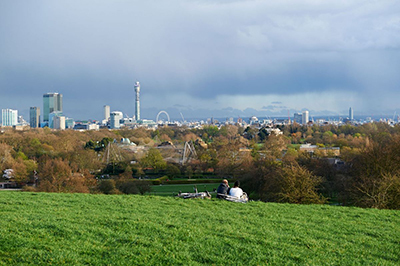 For a London suburb it is a relatively densely populated are with few green spaces. Lampton Park, Inwood Park and Hownslow Bowls Club are the three substantial green areas within the borders of the postcode. Thornbury Park, Murray Park, Beaversfield Park and Hounslow Heath are park that are either located directly on the border of TW3 or within a 5 minute walking distance from it. TW3 is very well connected with Hounslow East, Hounslow Central and Hounslow West tube stations providing the locals with access to the Piccadilly Line. Hounslow Rail Station allows the local residents to commute in and out of London via the South Western Railway also. The way these stations are spread out throughout the postcode allows for major transportation hub to be accessible on foot from pretty much anywhere in the postcode. The North Western quadrant of TW3 is one of the most affluent and greenest parts of the postcode. It contains the above mentioned Lampton Park and Hounslow Bowls Club. Most of the residential homes here are either detached or semi-detached houses in the Victorian or Georgian style. There is also a good number of mid-century built terraced homes and very occasional apartment building or local authority housing. The South Western part of TW3 is more traditional for the area. It is rather large and it contains large number of roads lined by hundreds of terraced houses. These are all very easy to deliver to and any anomaly in the form of an inaccessible apartment building is very easily identifiable for our distributors. As such it is a good representation of what an area perfect for leaflet distribution can look like. Not all great leafleting areas need to be full of large town-houses. The South Eastern part of the postcode is one of the more spacious places in Hounslow. We can find Inwood Park here which again has some larger detached properties surrounding it. There are also a few industrial areas here taking up some space and slightly diminishing the population density compared to other places in TW3. This is where our mapping system comes into play. Since we have carefully mapped out all the roads in Hounslow with some extra attention devoted to the South Eastern corner you can be assured that the numbers of leaflets we will ask from you to cover these areas represents the number of deliverable residential households as closely as possible. The North Eastern part of TW3 is again a more affluent area with green spaces and larger detached or semi-detached properties. The Centre of TW3 is the commercial hub of Hounslow. London road and Hamworth Road are both very busy high streets and are lined by shops on both sides. This includes large clothings chains, Cinemas or smaller local vendors. Hounslow can be an area that gets forgotten about when it comes to Leaflet distribution in South-Western London. Most companies tend to focus on Richmond, Strawberry Hill or Kew Gardens due to the number of affluent households in these areas. Hounslow shouldn't however be overlooked since it can provide any campaign with a large number of residential homes with many potential buyers. Feel free to give us a call and discuss whether TW3 would be a good area to include in your leafleting campaign with one of our experts. Many of the smaller leaflet distribution companies sometimes operate only in the better known postcodes and areas. One of the advantages of having the immense knowledge we have due to working with many ex postmen and Knowledge students is the fact that our understanding of almost all London areas is very in depth and we can operate anywhere, anytime. It takes time, effort and resources to build a real functional profile and mapping system for all areas in London. Since time and resources are a factor a smaller company might struggle properly processing and understanding each postcode in a city the size of London. As such they sometimes decide to focus only on the more famous areas. We do not have to do that. With multiple ex-royal mail employees, an ex-postman as a founder and director and a fleet of Knowledge boys we know London better than anyone. This kind of knowledge is not based only on data looked up in databases and on the internet (even though we use these techniques too). It provides real understanding of neighbourhoods and how they develop over time. What kinds of families live in them and what products they might be interested in and what service they need. Planning a leaflet distribution campaign is not only about printing a million leaflets and covering the largest area possible. It is about careful planning and sensitive selection of areas for repeated and targeted deliveries. That is our speciality. Why Use The Private Postman?